We are pleased to invite your orchestra to the 6th International Spa Wind Music Festival Carlsbad 2019. 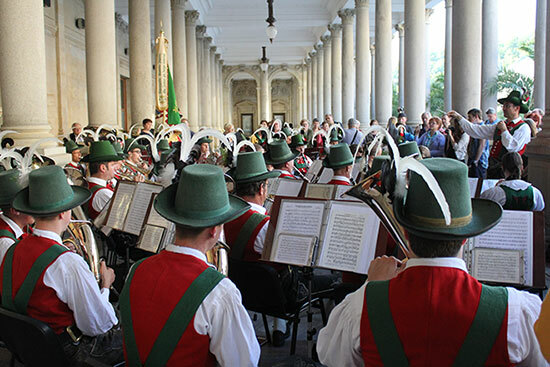 The festival will take place in the world famous spa Carlsbad (Karlovy Vary) in the period 23rd – 25th August 2019 and it is open for amateur bands without any limits. The event will be held within Majorettes Chapmions Exhibition of the Majorettes Union of the Czech Republic and under the auspices of the City of Carlsbad. Orchestras with majorettes are welcome. The participation in the festival includes accommodation with halfboard for 2-4 nights, Carlsbad sightseeing, guide.